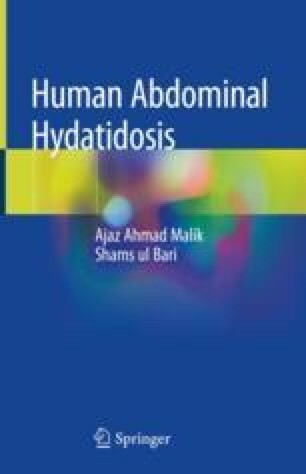 The mainstay of treatment of hepatic hydatid disease is surgery and is presently the only viable treatment for alveolar hydatid disease (Arif et al. 2008). Even today, controversy exists as to the extent of operation performed. Advances in management have been made with the use of newer anthelminthic and application of percutaneous aspiration in selected patients.